Wendell Eugene Allen of Bloomington passed away at Stonecroft Health Campus on Wednesday, March 27, 2019 at the age of 86. Wendell was born to Morris Wendell and Susan (Lighter) Allen in Monroe County on August 20, 1932. He graduated from Ellettsville High School where he was a star basketball player going on to play semi-state with his team. Wendell retired from RCA/GE as a mechanic repairing the mules used to transport materials through the plant. He loved horses, owning a few in earlier years and was a member of the Ford Mustang Club. He is preceded in death by his parents; son, Jordan Allen and sister, Elizabeth Davis. 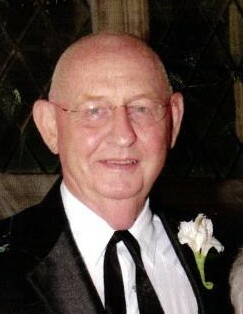 Wendell is survived by his wife, Barbara Jean (Harris) Allen of Bloomington; daughter, Shirley Jean Anderson and husband Warner of Indianapolis; ten grandchildren; step daughter, Barbara Jean Sullivan and husband Mike of Bloomington and brothers-in-law, Don Harris and wife Karen of Bloomington and Clyde Harris and wife Judy of Spencer. Wendell’s wishes were to have cremation services with private interment at Chambersville Cemetery. Chandler Funeral Home in Ellettsville is assisting with arrangements.